All in the community of Bayport and Blue Point are invited to join in a Celebration of Science. 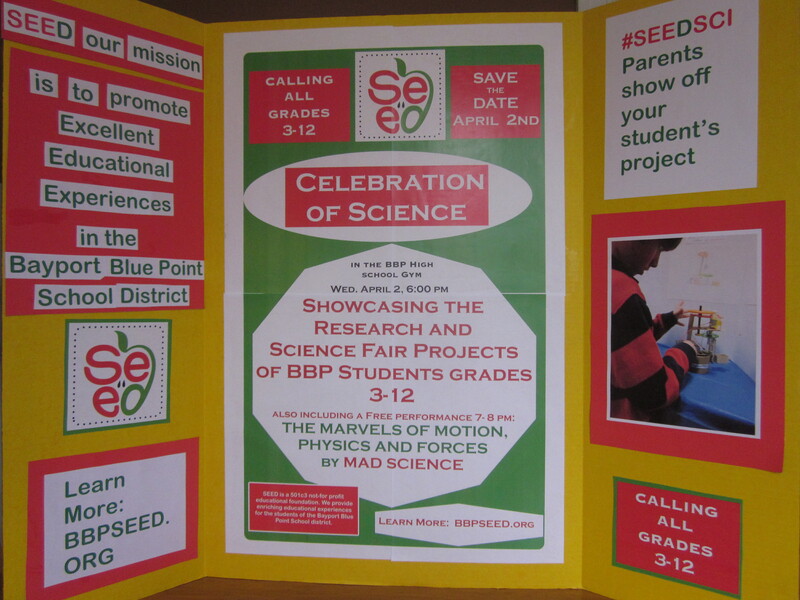 Featuring BBP student’s science projects and activities in the BBP High School Gym. Admission is FREE. Doors open for public viewing at 6. Mad Science will perform the “Marvels of Motion” from 7-8pm. Mad Science Marvels of Motion, click for more. Students in grades 3-6, Share your work! Keep your Science Fair Projects! and bring them to share district wide. Set up will be at 5:45 in High School Gym. Students will not be admitted without an adult guardian or family member, so plan an evening out for the whole family. Also featuring district science clubs and lego/robotics teams, plus awards and prizes. 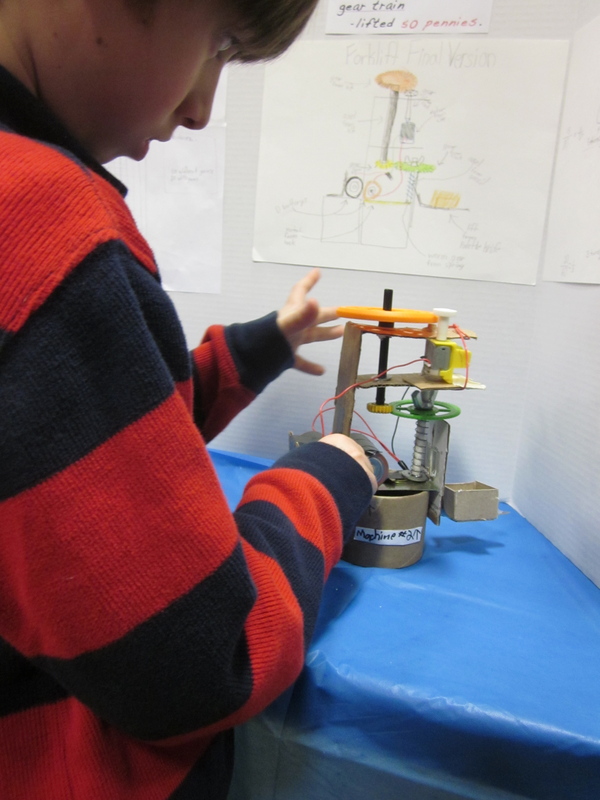 In the days before the Celebration, parents are encouraged to share pictures of student projects tagged #SEEDSCI. Come “Amaze and be Amazed” on this first annual evening of celebration. Have we aroused your curiosity? We certainly are excited to see your work. Thurs, Mar 6 – Blue Point Elementary; Wed, Mar 19 – Sylvan Avenue Elementary; Thurs, Mar 20 – Academy Street Elementary … but this year, that is not all… keep those projects! 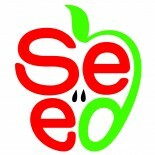 On April 2nd, all student scientists (grades 3-5) as well as grade 6, are invited to bring their work to the High School Gym to participate in SEED’s First Annual Celebration of Science. Don’t miss the Celebration of Science April 2nd, #SEEDSCI. This entry was posted on February 26, 2014 by SEED Info in Events, News, Opportunites and tagged #SEEDSCI.